Determining Settlement Amounts – How Much Can You Get? Most people who are considering a personal injury lawsuit or wrongful death claim have little or no idea what their case is worth. Some are looking for a “fair” settlement — others are looking for as much money as possible. What kind of settlement offer can you reasonably expect? One thing is for certain. If you are not working with a lawyer, the offer you initially receive from the insurance company will be low. 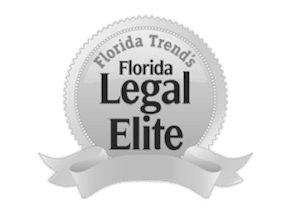 It’s the job of an Orlando, Florida personal injury lawyer to work with the injured person, his or her doctors, rehabilitation experts and financial analysts to document the full cost of the injuries today and into the future. Without clear proof of these costs, the insurance company will not provide full payment. Even with this evidence, it frequently is a fight. What Goes Into a Personal Injury Settlement? This is only a partial list of possible reimbursable expenses. Your lawyer will work with you to document all expenses, and may work with an economist to understand your likely future expenses, and then present a factually-sound case to the insurance company or to the judge or jury if need be. Before you agree to any financial settlement, contact a personal injury lawyer at the Umansky Law Firm. We work to ensure you receive a full and fair financial settlement in any type of personal injury case. We represent clients in communities throughout Orange, Seminole, Osceola, Brevard, Lake, Polk, and Hillsborough counties in central Florida.